My lovely little eight year old daughter loves white. Most days you can find her happily darting around in a white t-shirt and white shorts. Unfortunately, she also loves chocolate. And spaghetti. And blueberries. Did I also mention that she’s a little… well… messy? Aside from my daughter’s love of white, there’s also my son, who’s a typical 12 year old boy, with all the grass marks and unexplained stains that come with the territory. Together, they seem to generate an unending pile of laundry. Some weeks, it feels like hubby and I are buried under piles of laundry that threaten our very existence. OK, that may be a bit of an exaggeration (not much! ), but those laundry piles do threaten our sanity sometimes. So, we got serious a few months ago about taming the laundry beast in our home. We sat down as a family, and brainstormed ideas for making laundry easier. We tried them out, and found a few tips and tricks that worked the best. Here they are, our 10 best tips and tricks for taming the laundry beast. If I had one tip for keeping laundry under control, it’s to pre-treat your stains as early as possible. 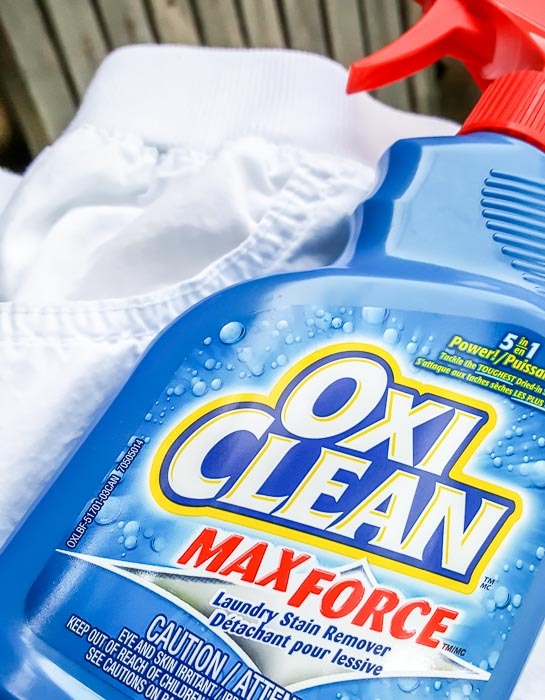 If you use a quality a quality product like OxiClean™ MaxForce™ Spray to treat stains as soon as possible, stains come out of clothing more quickly and easily. This saves a lot of time, since you don’t need to re-wash clothes to get stains out. Not to mention, early pre-treating stains can help save money since you won’t need to replace stained clothing! Remember those white shorts my eight year old loves to wear? Well, as I was writing this post, she kindly spilled a considerable amount of chocolate syrup over them. Sigh. So, I decided to put OxiClean MaxForce Spray to the test. I pre-treated the shorts as soon as I noticed the stain, and let them sit about half an hour. Then, into the wash they went. Tip! Follow label instructions for best results. 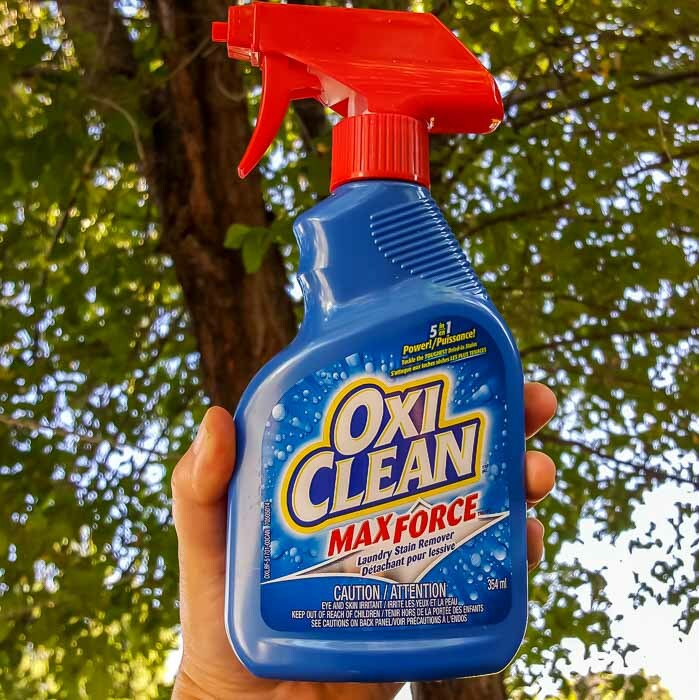 I used the OxiClean MaxForce Spray, which combines five types of stain fighters, for my chocolate stain on white, OxiClean also has several colour-safe products designed with stains in mind, including powerful pre-treaters to powerful in-wash stain fighting products. Honestly, I was a little nervous if the stain would come out. That was a lot of chocolate syrup! After a wash, the shorts looked like this – no more chocolate stain! I’d say that’s a win for OxiClean and pre-treating stains early. Honestly, one of the most depressing things I can see on Saturday morning is a huge pile of the week’s laundry waiting to be done. Now, instead of doing all our laundry in one big, overwhelming batch, we do a load every day or two. We do know other folks who love to do their laundry into one big batch once a week. This wasn’t working for us, as we started dreading a full day dedicated to laundry. Instead, we decided to do smaller loads more often. It works well for us, as we never have that overwhelming feeling that the laundry’s piled up and out of control. As a bonus, our house smells a lot fresher when the laundry’s done! Keep bottles of pre-treat spray tucked away in different parts of your house (but safely away from kids and pets, of course) . 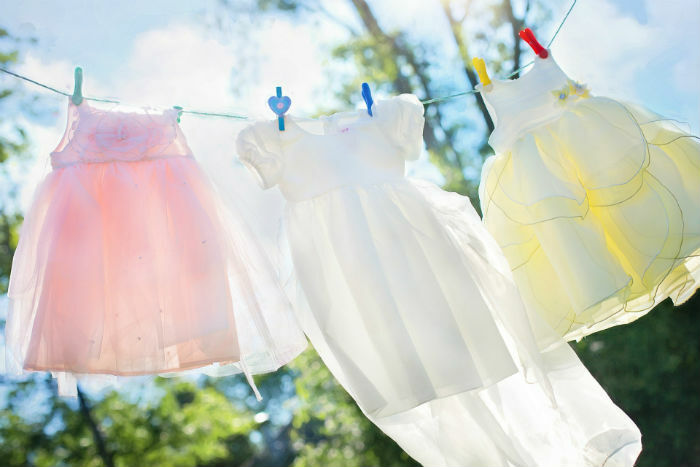 That way, you can pre-treat your kids’ clothes as soon as they come in the house. We have bottles of spray in the entrance closet of our house, and in the kitchen with cleaning supplies. This little trick has saved several of my daughter’s favorite white outfits. Because the spray is so convenient, I grab the bottle from my front door closet, and treat her messy clothes with pre-treater as soon as she’s home from school. I then throw the pre-treated clothes in the laundry pile, and the pre-treatment does it’s magic as the clothes are waiting to be washed. For those pesky blueberry or chocolate stains at the dinner table, I just grab the spray from the kitchen. Easy as pie. I don’t have a bottle in the car yet, but it’s not a bad idea! At eight and twelve, our kids are more than capable of helping with the laundry. I honestly don’t mind running the washer and dryer, but by the time it comes to folding the laundry, my energy’s pretty exhausted. I’ve learned to save energy and sanity by getting the kids to help folding and putting away laundry. Even if your kids are very young, they can help by putting away their clothes almost as soon as they can walk. We made it a fun game when our kids were littles, and it was so sweet to see the pride on their faces as they put their clothes away. A few month ago, we had our laundry supplies scattered around on different shelves in our laundry area. It was honestly a little annoying to have to search for the pre-treating products or a new detergent bottle. Last month, we bought a phosphate free, dye free detergent. Sounds lovely, right? We’re all about doing what’s right for the environment when we can. Unfortunately, we picked a poor quality product, and noticed that our clothes were developing an unpleasant smell, as the detergent wasn’t doing a good job of washing. We’ve switched to a better quality detergent, and voila, our clothes smell fresh and sweet. Quality products for pre-treating stains are every bit as important. 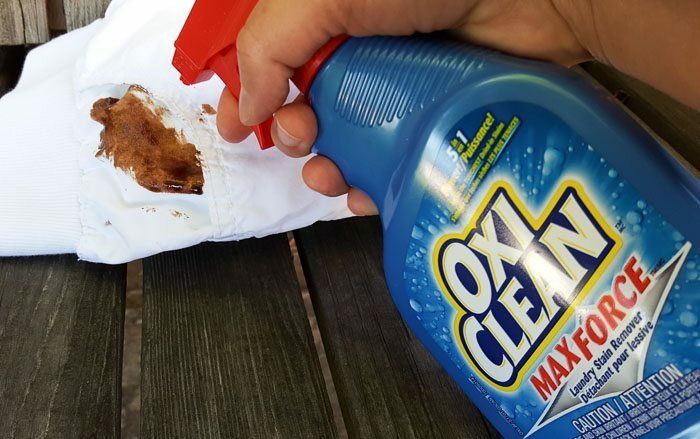 As soon as our OxiClean MaxForce Spray blasted away our nastiest chocolate stain, I was sold. OxiClean is the number one stain fighter brand in Canada. It works on a wide variety of stains, and gets the tough stains out the first time. 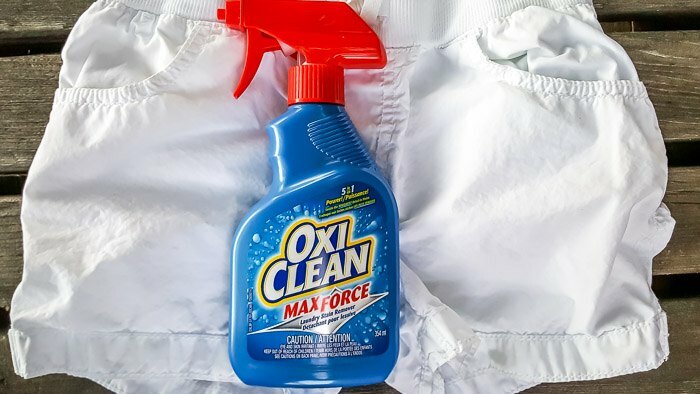 We used the OxiClean MaxForce Spray for our chocolate stain on white shorts, but I’m excited to try out the OxiClean™ Colour Shield Laundry Stain Remover with tough stain fighters and colour-safe brighteners for our coloured clothes. 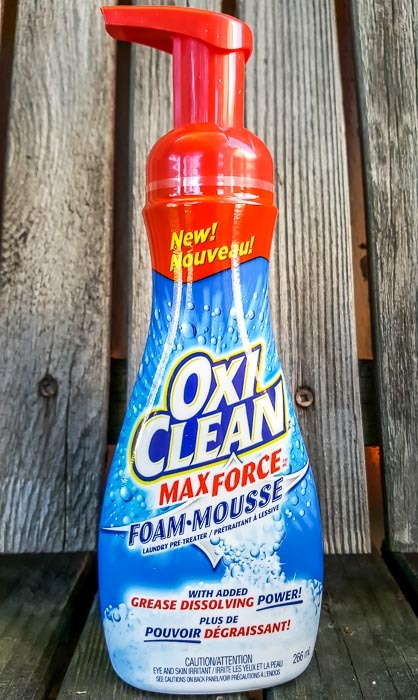 For greasy stains like motor oil or cooking oil, there’s the OxiClean™ MaxForce™ Foam Pre-Treater. It’s foaming action lets you spray and treat tough, stuck-on stains for up to seven days. For whites that seem dull and stained, there’s the OxiClean™ White Revive™ Laundry Stain Remover. It gets tough stains out the first time, and whitens 40% better than bleach with powerful whitening and brightening agents that won’t damage clothing. If you’ve ever had chlorine bleach eat away at your nice white shirt, you know how important that is! You can buy OxiClean products at your local Loblaw or Real Canadian Superstore stores. As the primary laundry washer in our family, I found myself spending way to long checking everyone’s pockets before starting a load. Even worse, with a house full of kids, I would find dirty (and sometimes still wet) tissues, and other disgusting things, as well as electronics and money. So, I sat the family down and told them that I’d no longer be going through their pockets before washing laundry. If something was in their pockets, it would just get washed. Next, I reminded my kids (and hubby and myself) every night to empty our pockets when we changed into pajamas at night. Over a few weeks, it became a habit, and I didn’t need to remind anyone any more. Sure, we suffered with a few loads of tissues left in the pockets, but overall that’s it. 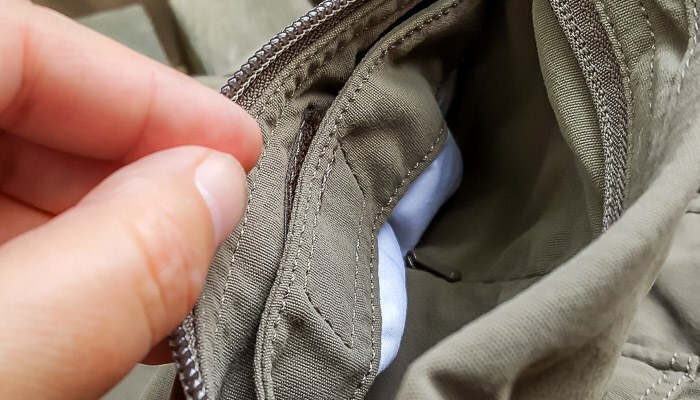 In total, it probably took me 21 reminders to get the kids to develop this habit, but now we all have a lifetime of never having to check pockets before washing again. All in all, that’s a fantastic trade off. Sure, a lace or silk shirt is gorgeous, but you’re signing up for a lifetime of hanging to dry and a separate washing cycle (or worse, hand washing) when you buy it. This is very much a personal choice, but we found that we didn’t miss special care items once we weeded them out of our wardrobes. Even better, our laundry time was slashed in over half every week. Tip! Pull shirts with collars, dress shirts, and cotton clothing out of the dryer as soon as the laundry is done to prevent wrinkling. Now, we’ll only buy clothes that are machine washable, and don’t require ironing. There are a lot of dress clothes that fit this bill, including men’s dress shirts. These days, we only pull out our iron for special occasions like weddings. Hubby (bless his heart) noticed a while ago that the kids were throwing their clothes in the laundry every night, whether they were dirty or not. With two kids, that adds up to a lot of loads of laundry in a week. Instead, we’ve asked the kids to wear their pants two (or sometimes three) days instead instead. I’d love to say that we could do the same with their shirts, but our eight year old’s are invariably covered in some mysterious substance after a day’s wear. In the spirit of smelling fresh and clean, we get our less messy 12 year old to change his shirt every day. Underwear and socks are changed every day. Like most kids, we always struggled to get our kids in the bath. 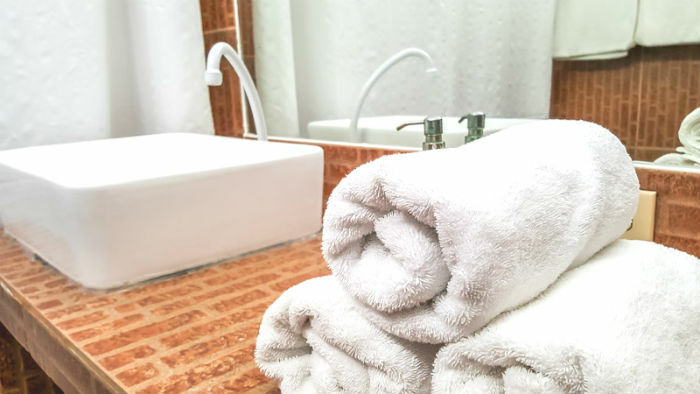 With a bath every few days, we got in the habit of using a fresh towel every time. Then our son turned 12 and everything changed. Suddenly, he was showering voluntarily almost every day. That adds up to a lot of extra towels, and a couple of extra loads of laundry a week. Instead of getting him to use a new towel every time, we told him to hang up his towel on a hook after every shower. Now, he only needs to swap out his towel once a week, because hanging it up prevents odors from building up. 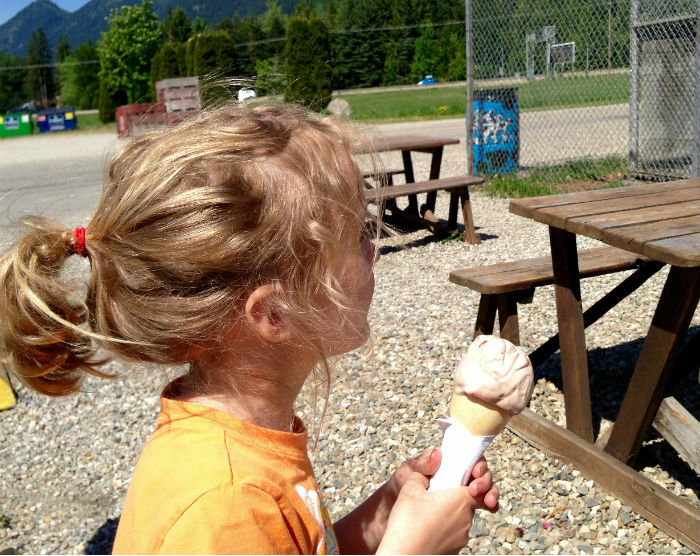 As our kids have grown, the spills and stains on their clothes haven’t disappeared. Instead, they’ve evolved from toddler sippy cup spills to ink stains and the like. Even with an eight and twelve year old in the house, keeping clothes stain free is an ongoing battle. Like OxiClean Canada on Facebook for product news and updates. You can find OxiClean on Facebook, on the OxiClean website or at the OxiClean Challenge website.